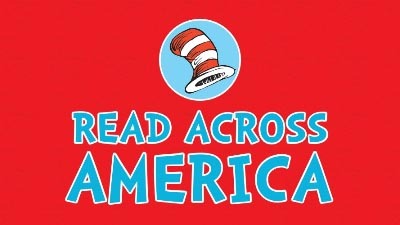 Denton ISD’s elementary schools will celebrate Read Across America from 8 a.m. – 2 p.m. on Friday, March 1. Volunteers are needed with a minimum donation of time commitment of 30 minutes. Denton ISD is pleased to announce a new and exciting partnership with Nutrislice. Nutrislice is a fast, convenient online tool that allows you to view school breakfast and lunch menus, nutritional values, food allergens and meal prices. At the annual Denton ISD Spelling Bee, Alycea Morales, seventh grader at Crownover Middle School was named the district champion. The first and second place winners will advance to the County Spelling Bee on Thursday, Jan. 31. Denton ISD Child Nutrition Department encourages households that experience a change in economic circumstances to apply for free and reduced meal benefits. Thirteen students from Denton ISD's high school music programs have advanced through multiple rounds of auditions to be selected as TMEA All-State Musicians. These students will travel to the TMEA State Clinic and Convention in San Antonio February 14-18. Motorcycle enthusiasts and community volunteers are partnering with Denton ISD and other Denton County school districts with the seventh annual Coats for Kids Ride on Sunday, Nov. 25. This year the ride will include a drive through Texas Motor Speedway. At the November 13 school board meeting, plans for the new Denton High School were presented. Construction will begin in June 2019 on the new Denton High School. The campus will serve 2,400 students and is anticipated to open its doors in the Fall of 2022. Julie Zwahr has been named the Denton Independent School District’s director of communications and community relations. Ms. Zwahr, who currently serves as the coordinator of communications, will replace Mario Zavala Jr.
During their regularly scheduled meeting on Tuesday, Oct. 23, members of the Board of Trustees reviewed preliminary plans presented by VLK Architects, for a complete re-design and rebuild of Strickland Middle School on its current site. The Denton Independent School District Board of Trustees will host a formal dedication of Alice Moore Alexander Elementary School beginning at 4 p.m. on Monday, Oct. 22. Alexander Elementary is located at 800 Mack Road, Denton. 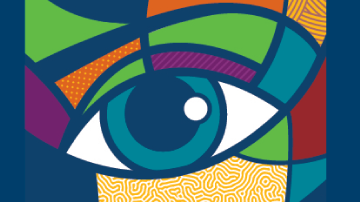 The expo will feature interactive sessions to help families and students prepare for the whole college experience. Topics will vary in scope from financial planning and applying for scholarships to emerging career trends and how to earn college credits in high school. There will be no school for students on Friday, October 12 and Monday, October 15 due to Staff Development. All district administrative offices will remain open during their normal operating hours. 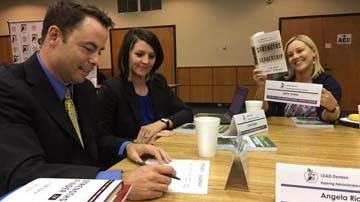 Denton ISD’s Teach Denton initiative, an innovative approach to finding future educators in areas of need, has been named one of five finalists for the 2018 Texas Higher Education Coordinating Board Star Awards. 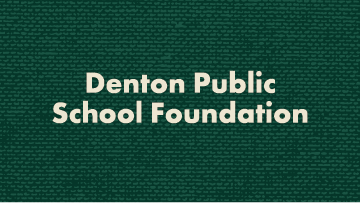 The Denton Public School Foundation in partnership with the district, local businesses and community leaders presented $99,542 in scholarship and grant money was recently awarded to 123 Denton ISD teachers and staff members. The policy allows current employees who are commissioned law enforcement agents or have extensive training in law enforcement to carry a concealed firearm on them, including while on school property. Denton ISD is committed to consistent and open communication with parents and the community. The district is now requires all teachers and staff to maintain a standard set of information across all campuses as part of the district’s web presence. For the 2018-2019 school year, students, parents and staff will notice changes based on building improvements and training with regard to school safety processes. Details include an awareness campaign as well as the installation of secure entry systems at every campus. The district’s Freshman First Day program ensures these students get an early, first-hand look at high school life at each of their respective campuses before the rest of their classmates at 8:50 a.m. on Tuesday, Aug. 14. The families of high school and middle school students can begin picking up their course schedules for the upcoming school year at the end of July. 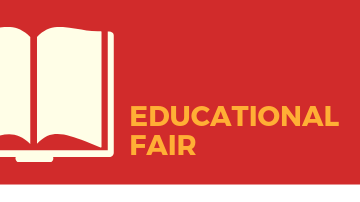 Parents and/or guardians of Denton County students who qualify for free and/or reduced lunch may receive school supplies, backpacks, health education resources and more if you register in advance for an upcoming back-to-school fair. The enrollment process for the 2018-19 school year for all new and returning Denton ISD students is now open via the district’s online registration system, InfoSnap. Please read the following information in its entirety regarding 18-19 school year registration. Mr. Cornelius Anderson, principal of Wesley Elementary School in Houston ISD, has been named the new principal of Ginnings Elementary. He replaces Marci Auchter, who is leaving the district to take a position with Prosper ISD to be closer to home. Ronnie Watkins, an assistant principal at Ryan High School, has been named the principal at Lester Davis School. Mr. Watkins takes over for Dr. Buddy Dunworth, who vacated the position after being named principal at McMath Middle School. Trey Peden, an assistant principal at Ryan High School, has been named the principal at Bettye Myers Middle School. Mr. Peden will take over for James Whitfield, who was named principal in May but resigned earlier this week to focus on his family.